Supreme Court says that Doordarshan (Prasar Bharati) can air live sport feed from private broadcasters only on DVB-T / DVB-T2 (terrestrial networks) and DD Free dish DTH. But Doordarshan cannot run same live sports feed on private DTH platforms and Cable TV networks. The case was filed in 2007 by Nimbus Communications Ltd and the Board of Control for Cricket in India (BCCI) to resolve this issue. After that Star India Pvt. Ltd and ESPN Software India Pvt. Ltd intervened in the case in 2013. So finally private sports broadcasters including Star won the case and from now as per SC decision, Doordarshan can broadcast live matches only on DD Free dish and terrestrial networks. 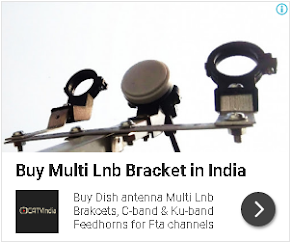 Before, any cable TV and DTH users could watch live matches on Doordarshan TV without any subscription. It is big loses to these sports channels. Well, it is also good news for DD Freedish viewers that they can still watch live matches on DD National network continuously. DD Freedish is free DTH service by Prasar Bharati which can be installing by using a freetoair set-top box and normal DTH antenna.